Working with young people is fun, rewarding and great for your professional and personal development. You could also plan your own events, like talking to students at the school you went to about civil engineering. If you'd like to inspire the next Brunel or Fergusson, then let us help you. Simply register your details and we can supply you with supporting materials and advice to ensure your efforts are successful. If you've got any questions or queries about becoming an ICE Ambassador then we're here to help you. Simply email us your question and we'll get back to you with the answer. We have a wealth of activities for you to use at careers fairs and in classrooms. 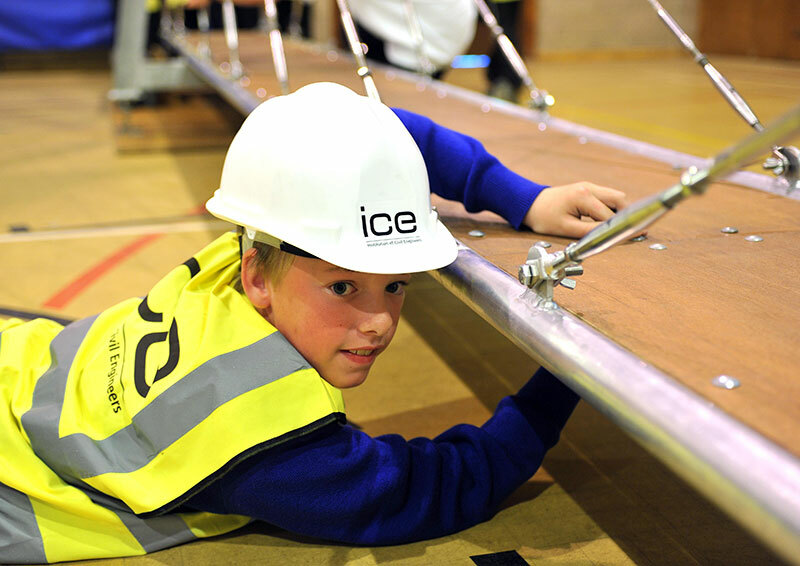 From videos celebrating amazing feats of engineering, to a fully constructable suspension bridge, we've got something to help you raise interest in civil engineering. The Institution seeks to safeguard the well-being of all children, young people, and vulnerable adults when they come into contact with ICE. Please read our simple guidance on working with children and young people – and make sure you contact us if you ever come across any child safeguarding concerns when volunteering with ICE. Such instances are extremely rare, but it is essential that we know. Civil engineers’ professional experience can be a real asset on a school governing body, both in terms of strategic leadership and insight into buildings and infrastructure. It is also a way to bring a knowledge of engineering careers to the heart of the school’s leadership team. If that inspires you, why not register with one of the organisations recruiting professionals to fill school governor vacancies: Academy Ambassadors, Governors for Schools, or Inspiring Governance.